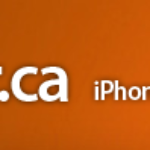 iPhoneinCanada.ca is proud to announce that we are the latest media sponsors of AppleExpo.ca, the largest Apple-related conference in Canada. The event takes place on July 12, 2011, at the Metro Toronto Convention Centre from 12pm-7pm. 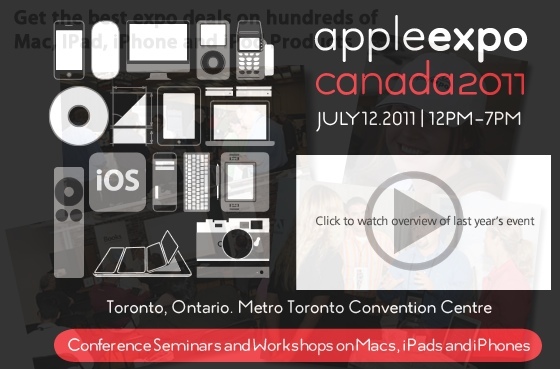 Yours truly will be visiting Toronto to host a seminar at AppleExpo, so come on out to join the fun! This event is a meeting place for all types of Apple end-users, manufacturers of Mac, iPhone, iPad products as well as APPs, Apple resellers, consultants, distributors, news media and other Industry experts. The goal is to bring together most everyone involved in the Apple community to explore, network and learn . It is also a place where you can get some great expo deals on everything Apple. If you are interested in Macs, iPads or iPhones, then this is the place to be. If you using Macs, iPhones or iPads for business, then you do not want to miss this event. You will meet everyone you need to help you choose and implement the best Mac, iPad and iPhone solutions for your business. AppleExpo takes place once a year, and will bring 5000 Mac/iOS users–you don’t want to miss this! It will be the ultimate place to buy cases and other accessories from your favourite companies, and not have to deal with shipping. You’ll also learn a few things too! Expo only: $15 before May 31st, $20 thereafter including all taxes. Conference Seminars + Expo Access: $45 before May 31st, $50 thereafter including all taxes. Click here to register, before the event sells out!